Near to the Cordillera Huayhuash, the Incas left an important buildings that belong to the Chinchaysuyo, these buildings were not finished, they are similar to those that there are in Machu Picchu, also there an Inca trail that goes near to Huayhuash mountain range. 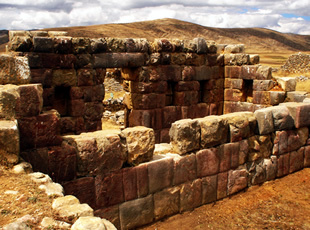 With this program, you have the opportunity to visit these Inca ruins and visit a part of the Cordillera Huayhuash. Day 11: Laguna Jahuacocha - Huaraz.